The National Environmental Standards and Regulations Enforcement Agency (NESREA), has advised Nigerians against indiscriminate dumping of wastes in drainage and waterways. Mr Abdussalam Isa, North-East Zonal Director of NESREA, gave the advice in an interview with media men in Gombe on Friday. 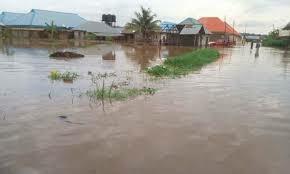 He said the advice became necessary sequel to flooding in some parts of Gombe state and other states in the country. Media men report that the National Emergency Management Agency (NEMA) has put 12 states on danger list with measures to mitigate the menace as well as advised residents of such states to relocate to safer areas. The states are: Kebbi, Niger, Kwara, Edo, Kogi, Anambra, Delta, Benue, Adamawa, Taraba, Rivers and Bayelsa. Isa said Nigerians must be proactive to environmental issues to avoid the human factors that could lead to flooding. According to him, raining season remains a challenge to Nigerians in view of the rising volume of water that always occur during the period. He said that proper disposal of wastes such as pet waste and polythene bags would mitigate flooding; adding that when disposed improperly, they could become a significant source of environmental hazard. “We know the factors that lead to flooding. One of them is the human factor. How and where we dispose our waste matter a lot. “We must learn to properly tie up our wastes and put them at designated points for collection. If this is not done, it can portend grave danger to our environment. “The era of dumping wastes in drains should be jettisoned because it can result to a significant source of environment hazard. Nature has a way of blessing human if we take care of it. “ Drains and waterways built by government are made to collect water and channel them to nearby rivers or other sources so as not to endanger human lives and activities. “We have to learn to dispose our wastes properly, no matter how small. “We must also strive to care for our environment if we hope to mitigate the incidences of flooding in our environment,’’ he said. He further urged Nigerians to be vigilant and not take the flood alerts by relevant agencies with levity to avert dire consequences. 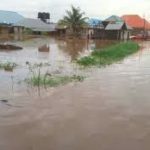 Isa commended the Federal Government for responding, in time, to inform Nigerians about flood as well as its preparedness to mitigate the menace. He also commended Gombe state government for constructing more drainage to reduce impact of flooding. Isa said NESREA had commenced sensitisation of people to enlighten them on the need to avoid human activities that could lead to flooding.